So many unknowns here still but I can share a few facts. The disaster has changed from being a search and rescue effort into a more stable crisis mitigation plan. Aid has arrived, it is being flown out right now in South African choppers, and the Indian army has been amazingly present everywhere we went, more than any other group. 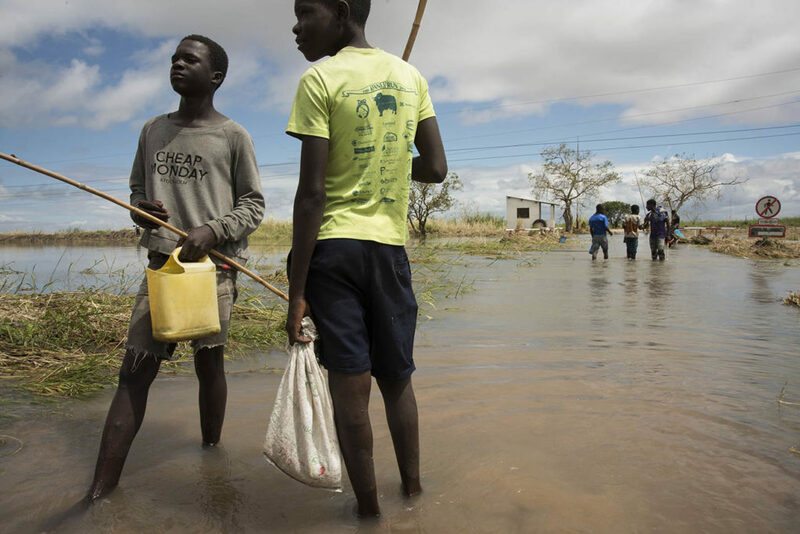 The Mozambique government has been struggling to organize anything and have on more than one occasion told aid groups to stop helping people. Whether that is due to the basic confusion or something more sinister we do not know. The cyclone has submerged an area around 50 by 60 KM. The main airport in the staging area run by the Mozambique authorities in conjunction. Infrastructure is destroyed, most of Beira is gone, and according to the WFP, it is the largest weather catastrophe since Hurricane Katrina. 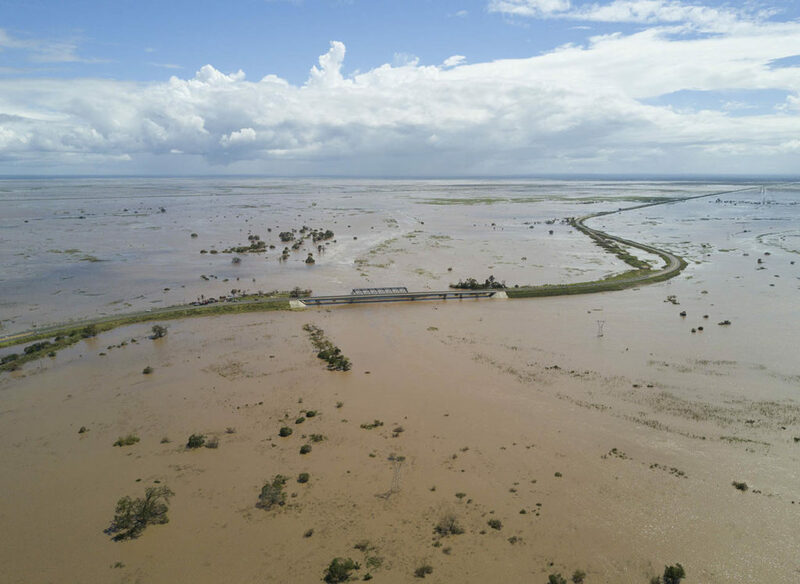 It is probable that we will never know how many people lost their lives in the flood, which came three days after the cyclone and may have simply washed many people in the low lying areas of the 3000 square kilometres of farmland and villages that were submerged underwater. The people we spoke to were survivors, and many told us of others that didn’t make it. Whole villages in some cases. 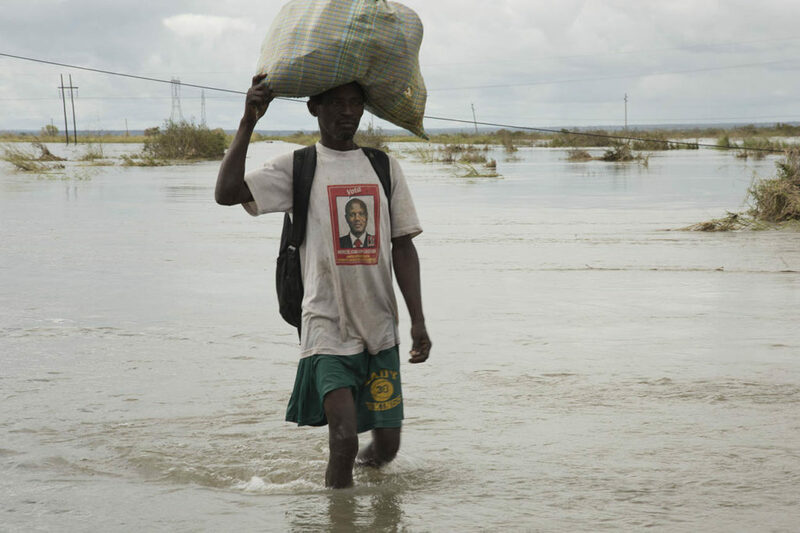 Beira city is cleaning up, and as the waters recede one thing is clear, the full scale is still unknown. There is a severe threat of disease, thousands are homeless and many more lost all their crops just before the yearly harvest. The rains have not stopped and they come every few hours like clockwork, making flying difficult. The phone systems are still not working well, and there will be no power grid working for probably weeks. 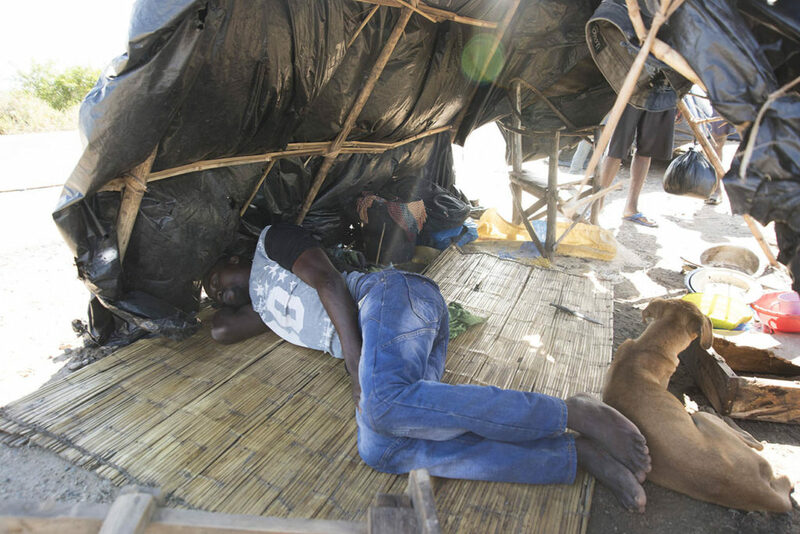 People are homeless, World Food Program suggests that there may be as many as 400,000 people like these, stricken homeless by Cyclone Idai. These folks are stuck on the roadside, the only high land for dozens of kilometres. So one of the oddest things happens when you witness a disaster first hand is that you see reports come out that are so wrong that you can’t believe anyone ever said that, much less kept repeating it. It cheapens the real nightmare and makes it harder for the truth to be told, which in this case is the probability that many more people died than we can ever know. For instance, the Red Cross apparently said last week that 90% of the city of Beira was destroyed. That is simply ridiculous. I stayed in a guesthouse on the beach facing the storm, it had no damage at all, and had never flooded. Yes, many buildings had roof damage, but the flood came through Sunday and by the time we arrived on Wednesday you could get petrol and drive through a damaged but working city. Yet many new agencies, despite seeing it, keep repeating this fallacy. It is clearly not at all true. The main road out of Beira makes an S curve. This area used to be home to hundreds of farming families, and now it is an inland sea. 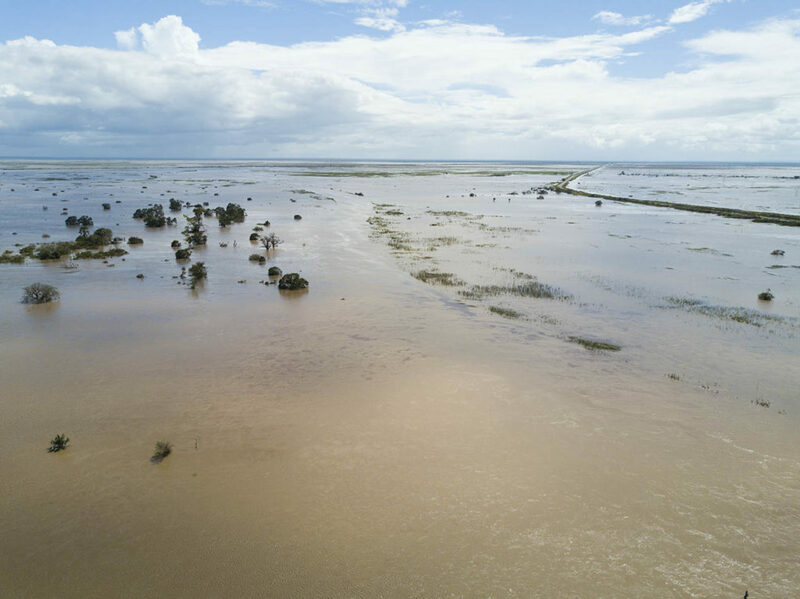 The cyclone has submerged an area of roughly 300 square kilometres. The main airport in the staging area run by the Mozambique authorities in conjunction. Infrastructure is destroyed, most of Beira is gone, and according to the WFP, it is the largest weather catastrophe since Hurricane Katrina. The flood itself that was in the city was relegated to the low lying areas near the mouth of the rivers, so yes the people living in informal areas like Manga outside of the built area had some flooding, but the real damage was to the huge 3000 square kilometres of low lying farmland and villages south and west of the city. According to the world food program, hundreds of thousands of people have been left homeless. There is little food, and these young men are fishing to feed their families in what was once their field. There were many people who lost their lives in the flood that came through four days after the cyclone, and you can see the image from my drone here of some of that heartbreakingly massive flood. It is bad enough, and we will never know how many perished clinging desperately to trees for days. There is no need to publish reports that make it sound worse, it is really bad. This entry was posted in Blog, News and tagged alliance earth, Beira Floods, Cyclone Idai, Gift of the Givers.